The Pound Sterling Swiss Franc (GBP/CHF) exchange rate rose slightly, and the pairing is currently trading at an inter-bank rate of 1.3079Fr. During Tuesday’s European Union press conference the focus remained on UK Prime Minister Theresa May’s request for an extension of Article 50 which is due to be voted on by EU leaders tomorrow. The EU’s Chief Negotiator, Michel Barnier stated that the withdrawal agreement would not be reopened, however the Political Declaration (PD) could be improved. Barnier said that the EU could rewrite the PD ‘within hours or days’ if the UK chose a customs union. However, the Chief Negotiator has also suggested that the EU might not grant the UK a long Brexit extension unless Theresa May is proposing a new approach. Barnier also noted that a no-deal Brexit would never be the responsibility of the EU, and if the UK wishes to stop a no-deal it can do so by revoking Article 50. 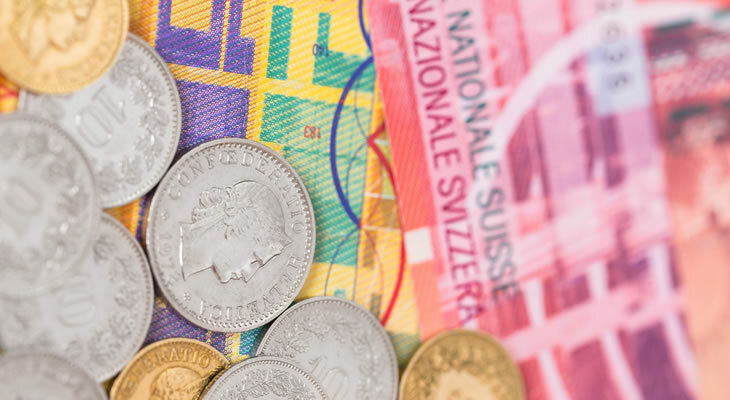 The Pound (GBP) rose against the safe-haven Swiss Franc (CHF) on Tuesday despite positive Swiss unemployment data and Brexit tensions. Data released by the State Secretariat for Economic Affairs (SECO) revealed that Switzerland’s unemployment rate remained steady in March. Since December 2018 the Swiss unemployment rate has remained unchanged at 2.4%. Later today, Prime Minister Theresa May is due to hold last-minute Brexit talks with German Chancellor Angela Merkel in Berlin, and French President Emmanuel Macron in Paris. This comes just a day before the EU’s emergency summit in which all EU leaders will vote on whether the UK will be granted a Brexit extension. Just four days before the UK is due to leave the European Union, the Prime Minister is aiming the urge the leaders of Germany and France to back her request to delay Brexit once again. On Monday evening, the British Retail Consortium (BRC) released its annual like-for-like retail sales which showed spending contracted in March. Annual like-for-like sales fell by -1.1%, and total retail sales slipped by 0.5% compared to just a year earlier when sales rose by 2.3%. Data revealed that consumers held back on buying big-ticket items and the BRC said Brexit uncertainties and a later Easter likely distorted the sales figures. ‘Retail sales slowed in March, even when the Easter distortions were accounted for, as greater uncertainty caused people to hold off from slashing out. Pound Swiss Franc Outlook: Will the GBP/CHF Exchange Rate Fall as UK GDP Stagnates? Looking ahead to tomorrow, the Pound (GBP) could slide against the Swiss Franc (CHF) following the release of the UK’s monthly GDP. If February’s GDP stagnates showing the UK economy has stalled ahead of the previous exit date of 29 March, sentiment in the Pound will likely be dampened. Wednesday’s emergency EU summit in which all EU states will vote on whether the UK will be granted a Brexit extension to 30 June may cause the Pound to rise. If the UK is granted an extension, it is likely Sterling will be buoyed by a fresh wave of Brexit optimism and the Pound Swiss Franc (GBP/CHF) exchange rate will rise. Next ArticleIts Brexit Judgement Day, But What Will Happen to the Pound Euro Exchange Rate?